Weeknights, 10PM - News 8 on The CW San Diego "I feel incredibly blessed to be raising my children here in America's Finest City." 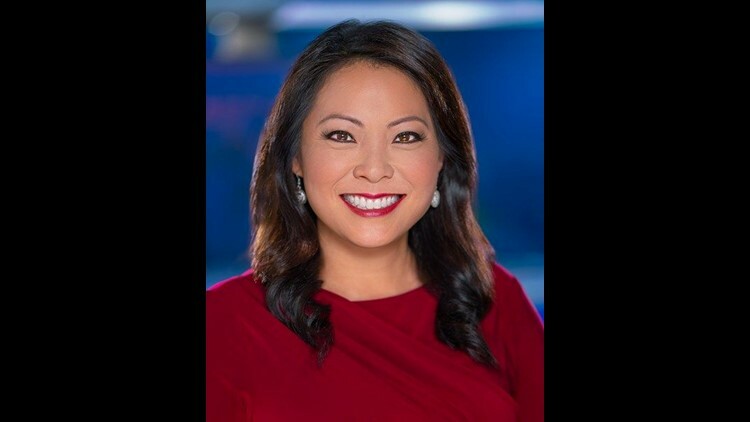 Marcella Lee is a general assignment reporter and anchor for KFMB-TV in San Diego, California. "I feel incredibly blessed to be raising my children here in America's Finest City." The proud mom of twins, Marcella Lee says San Diego is like a big playground with so many things to enjoy with her son and daughter -- almost always under sunny skies! After more than a dozen years of anchoring the Weekend Newscasts on CBS News 8, Marcella has moved to a Primary Anchor role, delivering the news Monday through Friday for News 8 at 10PM on the CW San Diego. She is excited about the opportunity to be part of the CBS8-CW San Diego duopoly at KFMB Stations, and will be continue to report for both affiliates. In her weekly Adopt 8 segments, Marcella profiles children in San Diego County who are waiting to find a permanent home. Marcella says, "We feature many older children who are harder to place-- kids who are 12, sometimes 16 years old." She says someone once remarked, "They're almost out of the system," to which she replied, "A child's need for a mom or dad doesn't stop at the age of eighteen. These kids need love and guidance through the college years, young adult life, and beyond." Marcella says the most rewarding part of her job is receiving the news that a child has found a Forever Family. She says, "Children's lives are forever changed through adoption. It is humbling to play a small role in matching children with parents through our Adopt 8 stories." Marcella's career as a broadcaster was almost trumped by her business ambition. A Detroit native, she graduated from The University of Michigan Business School in Ann Arbor. Against her better financial judgment, she decided to take a gamble and pursue her interest in journalism, earning $5 an hour as a videographer/reporter at WLNS-TV in Lansing, MI. Next, she moved to WBNS-TV in Columbus, Ohio, where she scored her first Emmy award at the young age of 23. Making the jump to KCNC-TV in Denver, Colorado, Marcella worked as a general assignment reporter in the Mile High City. But soon her hometown came calling, leading Marcella back to Detroit and WDIV-TV. Six years later, San Diego came calling, and Marcella couldn't resist the sun and surf. Marcella has received 13 Emmy awards, including eight while at CBS News 8, for various stories including her anchoring and reporting of the October 2007 and May 2015 wildfires. Among her most memorable experiences in TV news, Marcella recalls traveling to Jordan for a cultural exchange assignment following the September 11th attacks. "It was an incredible experience to not only learn about the Middle Eastern culture, but to educate and enlighten viewers by helping to bridge the cultural gap during a volatile and extremely sensitive time," she says. Marcella is a supporter of numerous organizations in San Diego, including ASIA: The Journal of Culture & Commerce and the Union of Pan Asian Communities (UPAC). She also dedicates time to mentor high school and college students. When she's not at work or volunteering in the community, Marcella and her husband Tony are busy with their twins, exploring parks, beaches and the beautiful landscape of San Diego.